A Legal Perspective: Who Owns Social Media Profiles? I am excited to welcome David Lizerbram as a guest blogger for today’s post. David is an attorney in private practice in San Diego with a focus on contracts, business transactions, trademarks, and copyrights. When he is not assisting clients or working on his blog, David enjoys watching movies, playing bass and guitar, and winning handily at pub trivia nights. You can follow his blog at http://lizerbramlaw.com/blog/and follow him on Twitter @LizerbramLaw. I often receive many questions about social media law, particularly around who owns business-related social media profiles. What happens when the person who posts on behalf of a company (sometimes using their own name) is no longer working with them? It is crucial that both the employer and employee make sure that terms are in place so that there is no question on what happens in the case of resignation or termination. This is an unsettled area of social media law, so let’s take a look at several recent cases that have attempted to make sense of who owns social media. Phonedog v. Kravitz. PhoneDog, a tech review site, hired Noah Kravitz to help out with their social media marketing. Kravitz tweeted for the company as @Phonedog_Noah, attracting 17,000 followers. When he left the company, PhoneDog wanted the account back, but he simply changed it to @NoahKravitz and continued tweeting to the same followers. PhoneDog sued, and while the case is still proceeding, the company has had some success thus far in court. There is, however, a long way to go before PhoneDog can establish rights in the account and collect damages from Kravitz. To have 17,000 social media followers being hijacked by a rogue employee is a nightmare situation for any employer. Eagle v. Morgan. Linda Eagle, the owner of a financial services company, created a LinkedIn account for business and personal purposes. SISCOM purchased the company and later replaced Eagle with new management. They gained access to the LinkedIn profile, changed the password, and replaced Eagle’s name and photo with that of the new CEO (Morgan), but retained a lot of Eagle’s professional information, along with her contacts. Eagle filed suit in federal court, claiming 11 causes of action, including identity theft. The company countersued on the grounds that it was the company itself, not Eagle, who was primarily responsible for developing the content and connections found on the LinkedIn account. Essentially, the court is considering whether this was a “personal” account in name only. Ardis Health, LLC v. Nankivell. 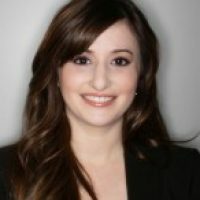 Nankivell was responsible for Ardis’ social media marketing. When he left the company, he refused to turn over the access information to various accounts. The court forced Nankivell to turn over the information because, in this case, Nankivell had signed an agreement specifying that the account information belonged to the company. The key here is that Ardis Health made Nankivell sign a written agreement. What lessons can be learned from these cases? Whether you are on the employer or the employee side, the cleanest, clearest, and least costly approach is to get everything in writing when it comes to who owns your b2b social media content. In most situations, if both sides have a written agreement spelling out who owns what – the profiles, the access info, the content, the followers – these types of controversies can be avoided. You don’t want to have to convince a judge and jury that these are your followers or your content. For employees or contractors – people who generate and post content on behalf of a company – try to keep a clear distinction between your professional and personal accounts. Review the company’s written policy carefully, and get any clarifications in writing (even an email is better than nothing). It’s great to establish a compelling online persona – as long as it is in compliance with company rules and the team’s overall marketing strategy. But understand that you may not be able to take your carefully cultivated group of followers along with you when you move on to the next phase in your career. Employers should remember to review their digital/social media policies on a regular basis. Just because your company’s policy was state-of-the-art a few years ago doesn’t mean the information is still fresh. While none of us need another item on our to-do list, it’s important to monitor your company’s social media accounts and policies to be sure that there is no confusion as to who owns what. Get this done before you have an employee who thinks your social media accounts are his personal playground, and you’ll be saving yourself a lot of trouble and legal expenses. For an example of what a written policy could look like, check out Marketo’s Social Media Policy.